Click here to view our opening hours including bank holidays. 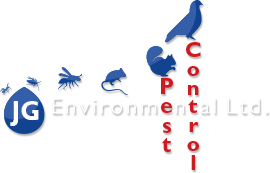 Rodent and Insect control by JG Environmental Ltd.
We work hard to suit the general public’s needs, services ranging from large commercial bird nets, rodent and cockroach contract control, residential mouse and wasp problems and all at great value prices. 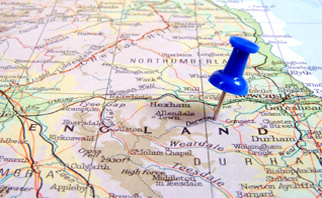 Our commercial clients include ASDA, Starbucks, Colleges and Universities in London and many high street businesses. JG Environmental specialise in ‘discreet pest control’ for insects and rodent control treatment, dealing with anything from Wasp Nest Removals to Bed Bug and Cockroach Exterminations. JG Environmental also deal with full on rodent pest control contracts and large-scale bird/ pigeon proofing. All JG Environmental’s technicians are fully trained, certified and experienced, so you can be sure they are the right people for the job. Ant control is one of the most popular services we provide, ants in London boroughs can be a real nuisance, they eat our crumbs and your kitchens even when clean can be a feast for these tiny pests. There are different types of ants and they each require different Ant treatments for effective eradication. Wasps can be located in small holes brickwork, hollow’s in trees, in garden sheds and loft spaces and also in bushed and the ground/ compost heaps. If you see a lot of wasps around your property or garden it is highly likely you have a wasp nest and you will need to have this professionally removed. We are your local Wasp nest removal London company. Mice are the most common pest we deal with. One of the pests people really have a phobia over, because of this JG Environmental are the local experts in mice pest control London. We provide proofing with every job and a guarantee that the mice will be eradicated. Armed with the very best poisons and traps we are more than competent in dealing with your mouse problem. Fleas are one of the common house parasites, usually brought in by cats or dogs fleas and can be a real problem once they have infested an area. Fleas are tiny and can often be seen jumping around. Approximately only 5% of a flea infestation will actually live on your pet, so treating your pet is highly unlikely to eradicate the whole problem. That is where we come in, we will eradicate the eggs and fleas residing in the property, this together with effective pet treatment should rid the problem completely. Rats, surely one of the most disgusting pests we deal with. Known for carrying diseases and causing a lot of damage to food stuffs, and home decor, rats are a real cause for concern all over the London and surrounding area. Effective baiting/ trapping methods as well as professional proofing/ repair work will see the end of your rat problem. Squirrel eradication in Kingston, Surrey and London. Weapon of choice being specialist squirrel traps baited with some sort of peanut/ chocolate special concoction give us excellent success rates for squirrel removal. Our squirrel service is guarantees as is all of our services so you can be sure you will be satisfied. JG Envrionmental will provide you with a quote for proofing/ blocking the squirrels access hole, this will often require specialist access equipment to reach the area and again this work is guaranteed. Fumigation of Cockroaches in Central London and Camden. Cockroaches pose a strong threat when in your home or commercial premises, especially when they occupy the kitchen area. Often due to their breeding capabilities they spread very quickly and you may find they infest adjoining properties. Cockroaches love grease build up and food remains, this is why it is vital you keep your property clean to prevent any build up. If you have a cockroach problem, contact JG Environmental Camden, for a reasonable price we provide effective eradication techniques which includes the use of specialist gel, powder, spray and/or fog formulations, all services guaranteed. Bed bugs are extremely difficult to get rid of, if you have bed bugs in your home then you need to hire a professional pest control company to deal with the problem for you. JG Environmental provide a guaranteed service using a combination of the very latest chemical spray and a powder formulation. JG Environmental are a specialist bed bug removal company and as part of this we provide chemical, non-chemical, heat and preventative treatments/ products. Bed bugs cause skin irritation following their bite, they actually inject a measure of anaesthetic as to not disrupt your sleep and your will not feel the bites until morning. We cover Pest Control in Ilford. We also cover pest control in all the following areas, pest control in Enfield, pest control in clapham, pest control in peckham, pest control in wandsworth, pest control in wembley, pest control in poplar, pest control in Ilford. 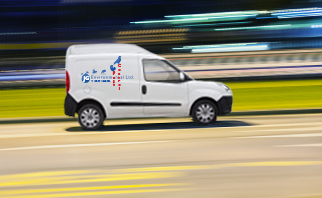 Looking For Emergency Pest Control in London? Slough Branch- Covering Slough, Windsor, Iver, GX, Maidenhead, Burnham and surrounding areas. Do you have a problem with bedbugs in your home? Call us now. Specialiasts in wasp, wasp nest, and bee control in your area. Discourage seagulls, pigeons and other pest birds from your home. Cockroach control covering all of London & surrounding areas. Specialist proofing and control for rodent and bird pests. We use the latest techniques, chemicals and organic agents. Flies, Flea, Bird Mites, Moths, Woodworm, Beetles, Silverfish. Excellent ant removal service at very reasonable prices. Call us now. Providing specialist spider eradication & emergency same day response. Expert, local bee keeping and bee removal services in your area. Expert mole pest control covering all of London and surrounding areas. Specialist fox control team that deal just in the eradication of foxes. We are able to deal with your problem using humane methods. We provide a full range of specialist proofing for rodent and bird pests. Excellent service always on time very friendly and explained every thing well and the bee nest has gone a credit to this company A BIG THANK YOU . I have been very impressed with the service from JG Environmental Services. Not only do they poison rats using three different poisons simultaneously, but they also commit to finding the entry point and sealing it. Richard has been calm, confident of solving the problem, knowledgeable, friendly and tidy. I have had two visits out of the three so far but I wouldn't hesitate to use them again if necessary. Thank you JG environmental! A few your ago I employed Rentokil but this company are far superior. Steve came first and three weeks later Shaun came.They could not have been more helpful and concerned for me. Speedy response, quote was reasonable, explained actions and I am covered for 2 follow up visits which is good. Detailed explanation given for the control of mice pests. Process and actions taken explained effectively. very satisfied. Excellent service I would highly recommend this infestation removal service. Mice eradicated quickly. good man. I was very happy with the service. thank you. I had Ian over to help me with my bedbug infestation. The service was exactly as they had described over the phone. And although I had to be out of my house for 4 hours the treatment worked as I was soon bedbug free. No sign of them since! Richard and Nick were absolutely fantastic, I have a void under my property where rats had occupied for some time. When I tried to instruct a contractor they would not go near the area because of dead rats, rat droppings and potential rat infestation. Richard and Nick got kitted up and were able to remove all of the dead rats and droppings as well as treat the area to remove any health risks thus allowing the contractor to carry out his duties. I was very very happy with the overall service and the very reasonable price. Highly recommended. Wasp control experts, JG Pest control provide wasp nest removal and bee removal/ hornet pest control all over Slough, Windsor and surrounding.